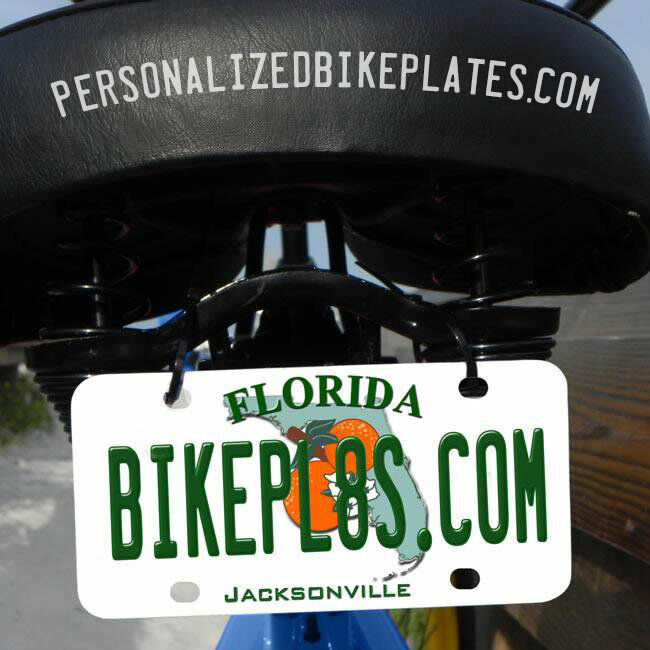 If you are ordering several plates that will all be the same except for the number, Set up 1 give us the list of numbers in the additional info section, Add to cart and change the quantity to your total amount of plates. 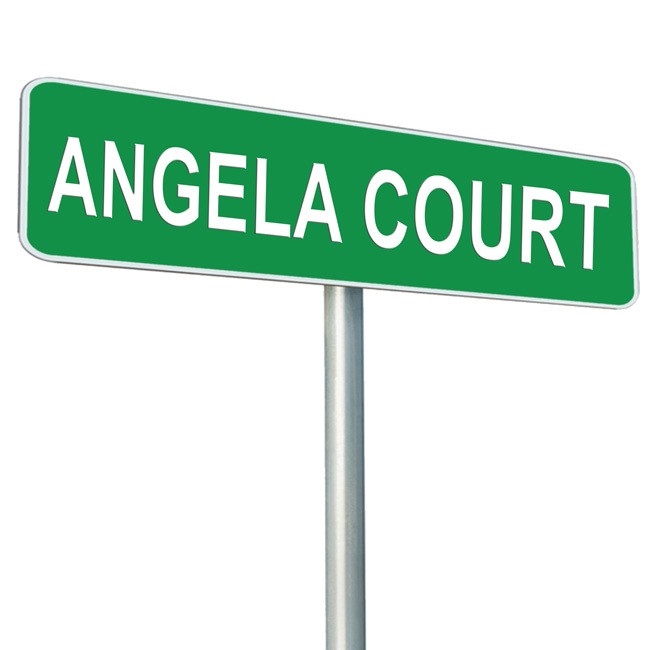 USE THIS BOX ONLY IF YOU ARE SENDING A LOGO OR OTHER IMAGE. IF NOT, PLEASE SKIP TO TEXT FIELDS. 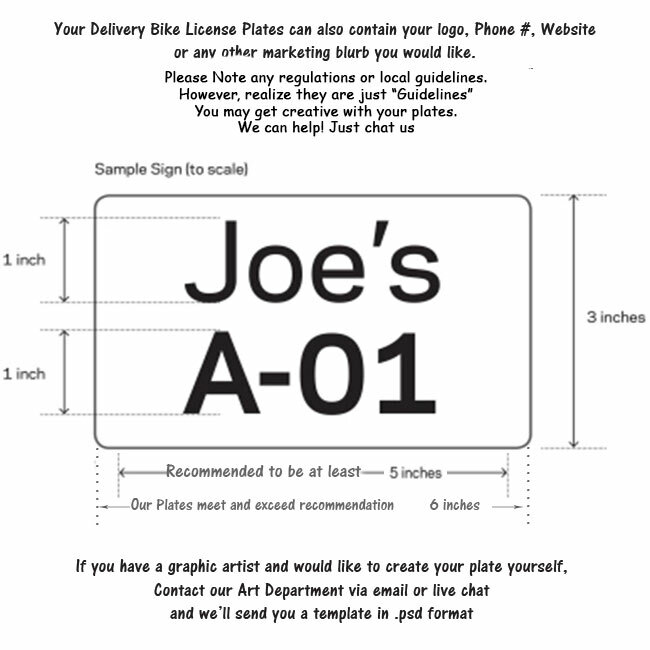 These plates can also contain your logo and any marketing blurb you would like. Please note that guidelines are just that ... "guidelines" You may get creative with your plates. 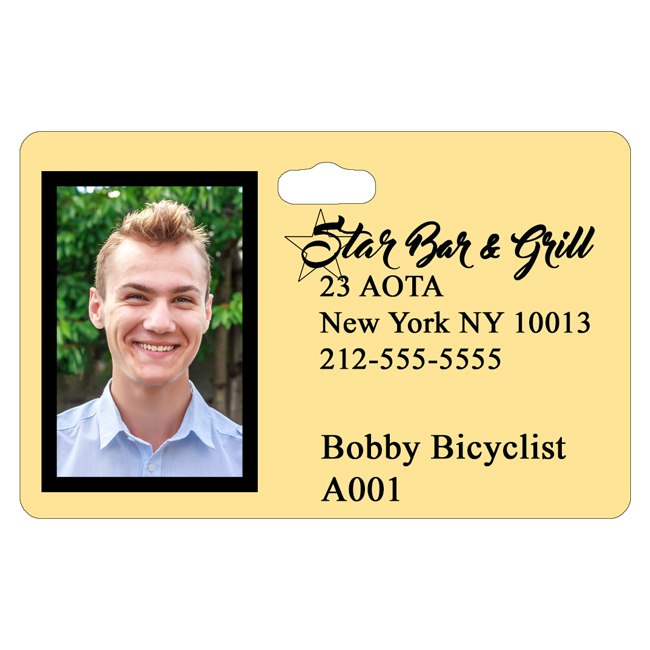 You May download NYC recommended guidelines for your bike plate here.https://www.nyc.gov/html/dot/downloads/pdf/commercial-cyclist-bike-sign-template.pdf Please note, our plates both meet and exceed their guidelines. 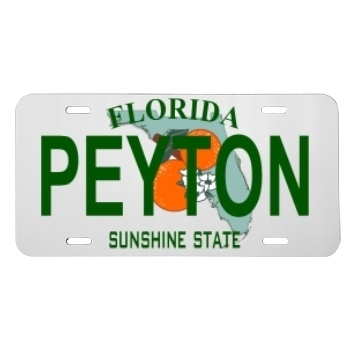 All License Plates are quality gauge and rust resistant aluminum! [The 3x6 size plate is also available in heavy duty Plastic] We offer a variety of sizes 2x4, 2.25x4, 2.5x4, 3x6, 4x7 and 6x12. 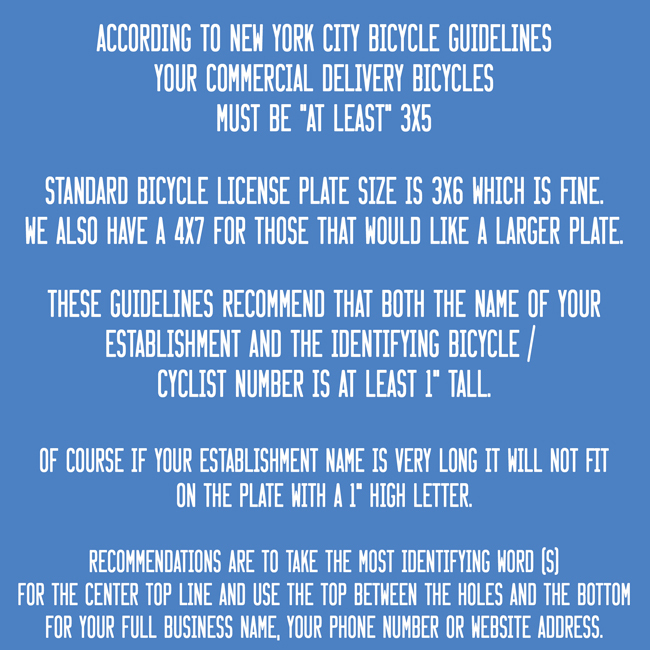 However, NYC guidelines does not recommend using anythig smaller than a 3x5 plate. 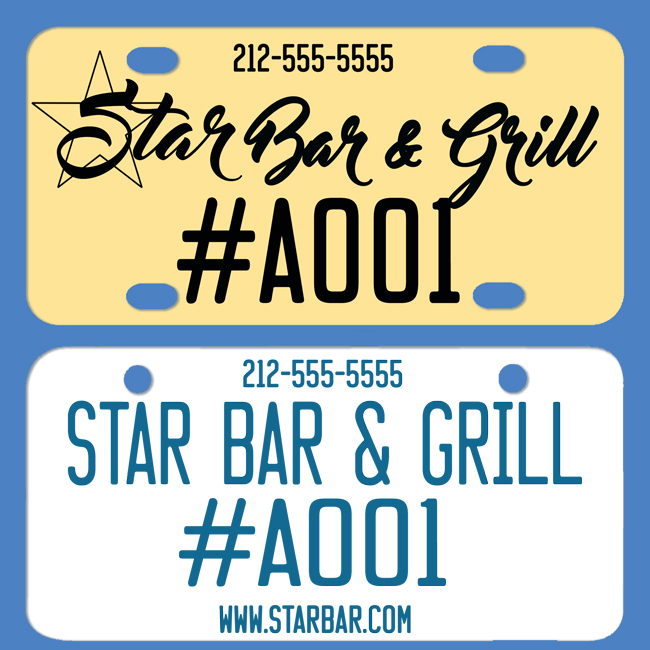 The 2 hole 3x6 and 4x7 plates have a UV coating which may cause the plate to appear blotchy when viewed from up close - they look fine from a distance. We include 2 zip ties with plates for application but you may use ribbon, magnetic or two sided tape, screws etc. Please take care not to over tighten any application. Turn-Around Time: Normal Production time is 2-4 business days. During Holidays and heavy volume season, Estimated Production Time may be increased. Package traveling time is additional to production time depending on the shipping method you choose and your location. Check our shipping map for a general idea of freight traveling time. 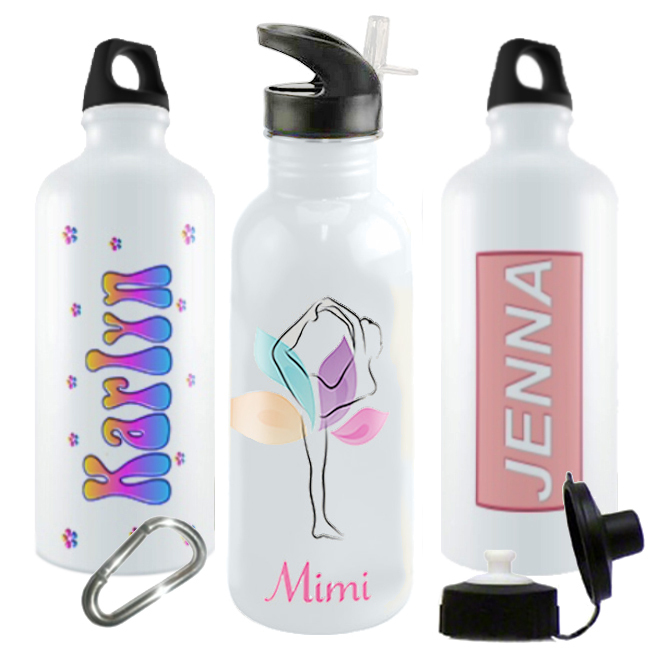 Please place event dated orders early and consider both production and package traveling time estimates and then some..